The highest number of U.S. Marines will exit Afghanistan in August compared to any other month in 2012 as a large exodus of American troops continues, U.S. Marine Corps Maj. General David Berger said today in a phone interview from Afghanistan. In the country's southern Helmand province — a swath once so volatile that an additional 10,000 Marines were massed there three years ago — the Marine contingent will continue to shrink drastically over the next three weeks, said Berger, commanding general of the 1st Marine Division (Forward). "We’re not going to give out detailed numbers on where we’ll end up, but it’s a cut of about two-thirds of the size of strength here (compared to) a year ago, and it will be somewhere between 7,000 and 10,000 Marines when we finish up," Berger said. "There will be more Marines and soldiers and equipment moving in August than any other month. All the ones that are deploying from Afghanistan on the Marine Corps side, they’re going back to their home bases on the East Coast, on the West Coast." 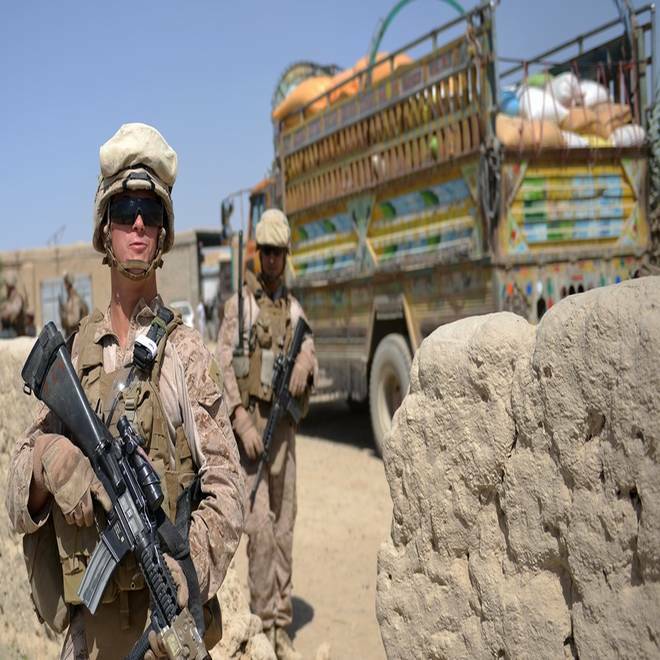 US Marines from Kilo Company of the 3rd Battalion 8th Marines Regiment patrol in Garmser, Helmand Province on June 29. The pullout of U.S. forces this year is expected to reach 23,000 total troops. The NATO coalition's combat mission in Afghanistan is scheduled to finish at the end of 2014. Last year, President Obama ordered 10,000 U.S. troops out of Afghanistan. While shifting more control to Afghan security forces and Afghan police, Berger said he has seen "amazing progress last year into this year," first, in terms of the Afghans' military development and, second, in their available fighting equipment and ability to man those tools. "The third part is confidence — confidence in themselves and the people’s confidence in them," Berger said, "Each week, they’re more confident in what they can do in the field. The police are more confident. The people can begin to trust them in a way that was really challenging a year and a half ago. 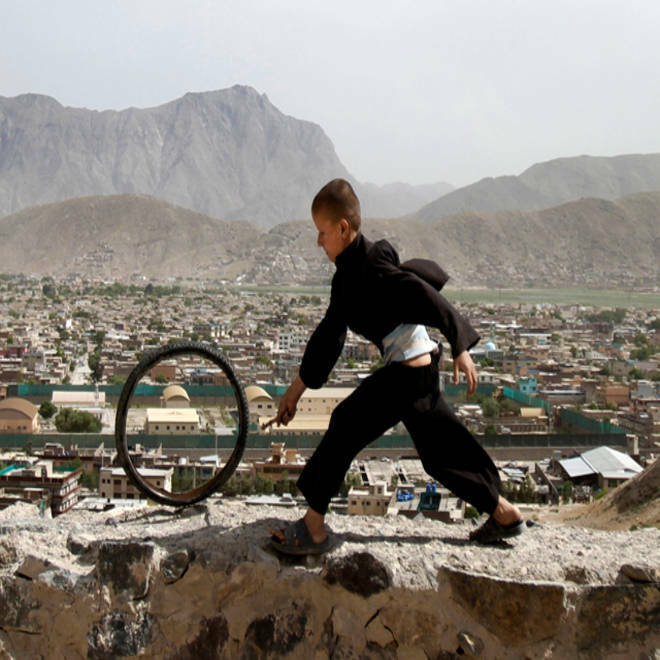 "Now, I think the people (here) see the Afghan security forces as ... really the public face of their government. So the more they see of this, the more confidence people have that the Afghan government can protect them, can take care of them. So from where we sit, it’s absolutely going in the right direction." However, Berger acknowledged that the massive swarm of Marines headed home — particularly those who will be retiring from the military and trying to enroll in college or land civilian jobs — will only begin that long transitionary phase after they return to the United States. "It happens after they leave country for the most part," Berger said. "While they’re over here, they’re pretty much occupied by the reason they were sent here. "But those who make the decision to move on into their civilian life, when they get back they’ll go into a formal program that first will lay out all the benefits coming to them. There’s a second part that helps them prepare for everything from doing a resume to doing an interview, to narrowing a field of choice, to getting an education. "If you had gone through that process of separating from the service to entering the civilian world four or five years ago, you would be very much surprised by the program that’s in place right now — in a good way," Berger said. Still, with tens of thousands of service members headed home, that influx will only further tax a huge backlog of disability claims already clogging the U.S. Department of Veterans Affairs and it could potentially exacerbate a high college drop-out rate and sluggish job hiring now plaguing many veterans of the wars in Iraq and Afghanistan. Retired sergeant Thomas Maretich, who in June earned a medical retirement from the Army, said he knows of many service members still in Afghanistan — and some still in Iraq - who "are not letting go those jobs" because they worry that what awaits them in America is simply the unemployment line. "They’re afraid. This is the worst possible time for anybody to look for work let alone anybody who has been wounded and has the cards stacked up against them," said Maretich, who was wounded by a car bomb in Iraq in 2009 and has had trouble finding work in his current city, Colorado Springs. "They could retire (from the military) at 20 ... They just don't see a job in the civilian world that is safe and pays the same." What's more, "they don't have enough mental health (help available) now at the VA. Many soldiers will need medical care for problems with their neck, back, or knees and the system that is already trying to catch up will be paralyzed again," he said. "Mix in budget cuts and what a mess we will have."